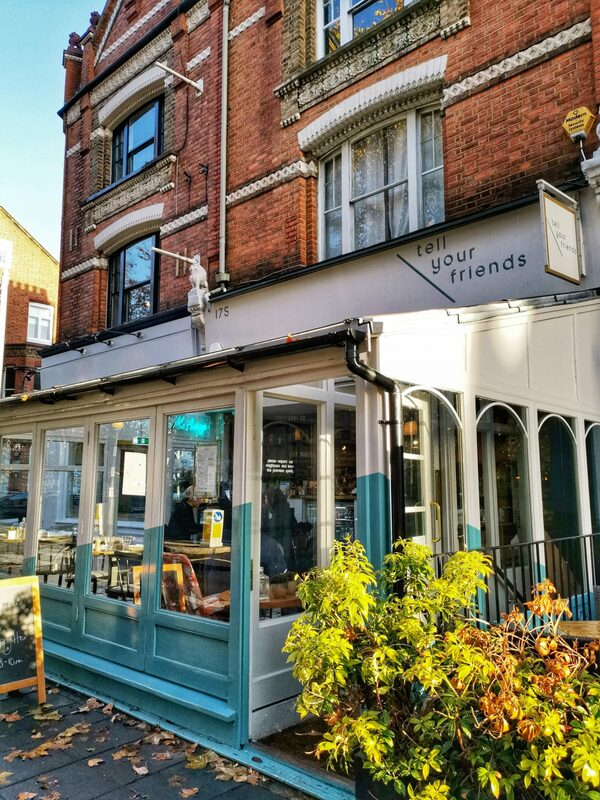 I’ve been loving Tell Your Friends in Fulham since I have first been here in May, the location, the chic and trendy interior, delicious vegan food – it just all works. And sitting in their little winter garden in the autumn sun looking out on the colourful autumn trees is simply wonderful. 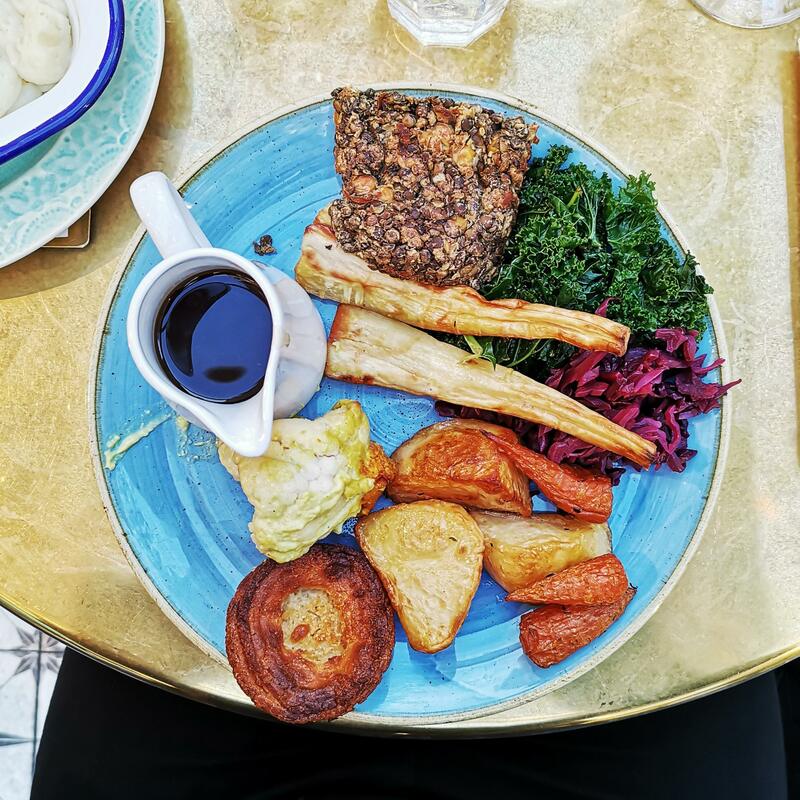 Tell Your Friends are 100% plant based and have actually only recently added the Vegan Sunday Roast option to their menu – at the same time as they launched their vegan Christmas menu. Perfect timing for me! I already knew that Nick was going to order the Seitan Roast – just with a look at the menu. It’s his absolute favourite after all! To be able to try another roast from their menu, I decided to try the lentil loaf. In addition they also offer a Stuffed Portobello Mushroom as a gluten free option. Both roasts came with all the typical trimmings: potatoes, cauliflower cheese, parsnips, carrots, greens, cabbage, Yorkshire pudding and veggie gravy. With regards to the roast potatoes, I was a little disappointed – personally I would have liked them to be crispier, as they were pretty soft and reminded me of re-heated, microwaves potatoes instead of those crispy roasted goodnesses that I normally love in a roast dinner. The lentil loaf tasted fine – it was nothing completely out of the ordinary, but I would have loved to have a bit more of it. It was however very tasty in combination with the veggie gravy. Less satisfying was the cauliflower cheese however – it seemed that only one single floret had made it’s way onto my plate and it was very tough and undercooked. The Yorkshire Pudding had a good size – and also that typical dip in the middle (something I never seem to get right with my own! ), but the edges seemed slightly burned and it didn’t really improve the overall experience of the Sunday Roast. All in all, I found that my plate could have done with a little more. Despite the long list of additions to the Sunday roast, I think they loaded each of them very sparingly onto the plate. I don’t know about you, but when I make a Sunday roast at home, I go all out – and would have loved to have that experience at the restaurant also. I also felt that they were trying to keep the roast healthy by offering smaller portions of all ingredients – and also the gravy didn’t seem to be very rich. Personally I think, when I order a Sunday roast, I want to have all the additions and not sacrifice taste over looking at my calorie intake. 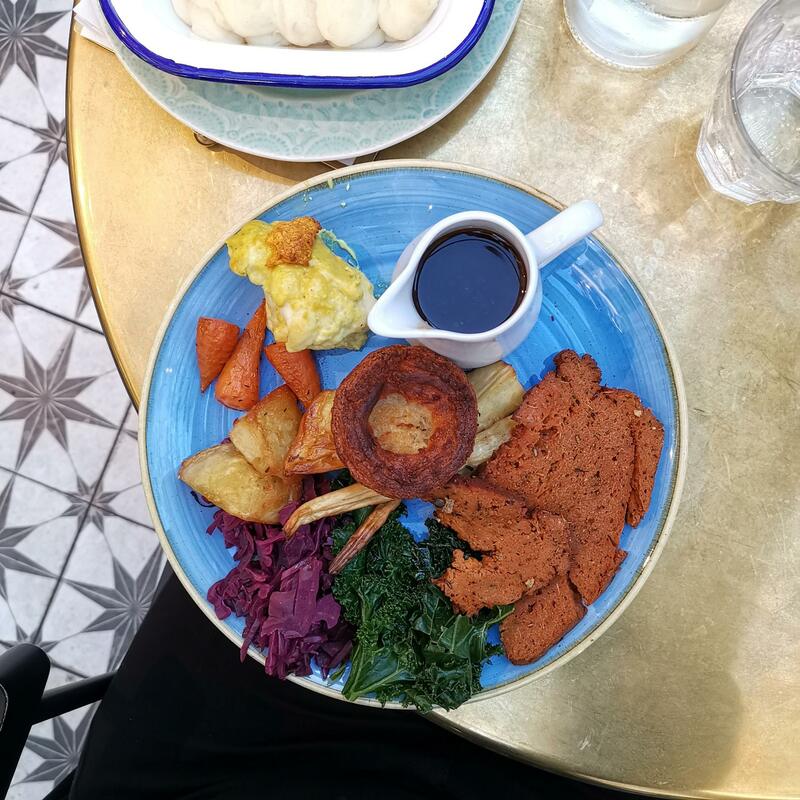 Have I found the best Vegan Sunday Roast in London yet? 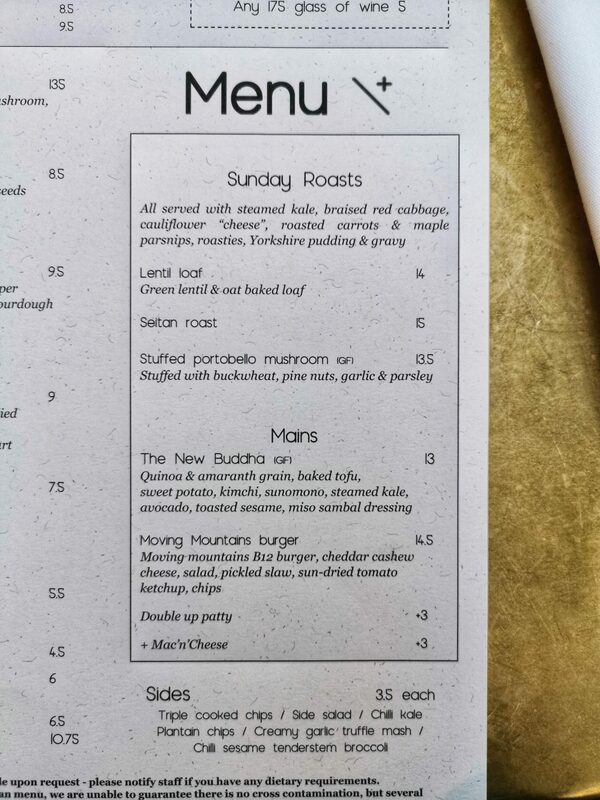 Well, I don’t think so – there’s definitely room to grow to improve the Sunday roast offering at Tell Your Friends, but I also know that it’s the first time they’ve actually added something like a Sunday Roast to their menu, so I want to encourage them to take the opportunity for improvements. Rome wasn’t built in one day after all, as they say. Have you spotted you personal best Sunday Roast in London? Let me know in the comments below about where you’ve been to as I’d love to try it out! 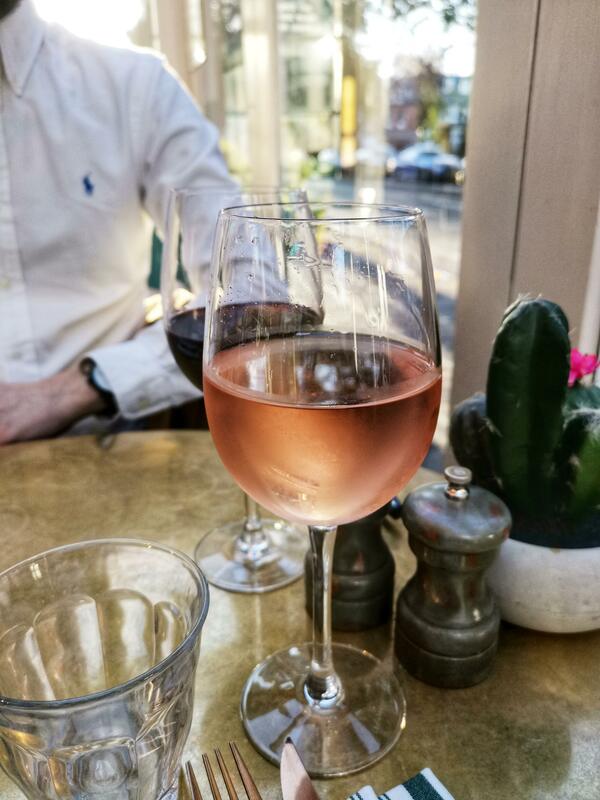 Looking for more restaurant reviews? Check out my collection of Vegan Restaurants!